Can You Ditch the Diets and Eat Intuitively? Can You Ditch the Diet and Eat Intuitively? Who needs diets if you can eat when you are hungry and stop when you are full? As a member of Weight Watchers, I have been reading for a while about ditching "diets" and eating intuitively. I want to know if that can really work for compulsive dieters/emotional eaters. When I first read about Weight Watchers’ Freestyle program and all of the ZERO point foods (which you are supposed to be able to eat without counting), I wondered about the people out there who have troubled eating for emotional reasons. My mother tried a diet in which she was allowed to eat “humming foods” - or foods that hum to her. She was attempting to listen to her body and feed it with what it wanted instead of what she had been told would help her lose weight. Eating intuitively is about letting go of diets and listening to your body’s hunger cues and eating until full. 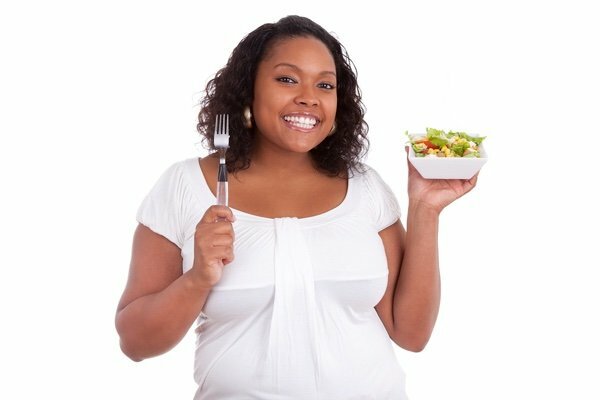 You are supposed to trust yourself to get your eating under control (it takes time and much listening to your body) and you may become like the woman below. Have you ever seen someone so happy to eat a salad? Below, I have attached a link to a good book about intuitive eating for those who want to learn more. They want you to eat desserts and not feel guilty about it, let go of all you have learned about food, and enjoy yourself. I think that this approach could help many people who find that diets just don’t work. But, for those who have deep emotional issues around food - it seems like a long shot to be able to do this without support (for example a therapist who specializes in disordered eating). The tug to eat when uncomfortable is so very strong and needs to be confronted before you can truly listen to what your body desires. How are you supposed to hear your body when your heart is telling you to EAT?!! I really want to answer this question but I just come up with more questions. I believe there is no “one size fits all” approach and that is the problem with programs like Weight Watchers. It doesn’t fit everyone to have ZERO point foods if you have trouble stopping yourself from eating when you aren’t hungry. How have you learned to eat when hungry and stop when full? Do you have a tough time with compulsive or emotional eating? What have you learned? I think it's an interesting concept but I have trouble knowing when to stop. I'm afraid that, if I ate intuitively, I'd gain weight. I instead measure portions of something that I could easily overeat (almond butter, for instance) and keep an eye on the "good stuff" that I eat. It doesn't always work but seems best for me. That's really a hard one. After years of going on and off of counting calories (mostly an unsuccessful strategy for my physical and emotional well being) I decided I was letting calorie control me so I stopped. After successfully losing enough weight to make me comfortable I decided that I'd try to eat intuitively. I gained almost 10 pounds. So, although I haven't gone back to counting calories I've learned a sort of compromise that works for me. I try to eat intuitively whIle being conscious of what I'm actually eating and trying to remind myself if I ate a more substantial meal and am just not felling hungry for the next meal, I should listen to my body. Seems to be working so far but it does have its challenging moments. You said it all, diets work, but are not sustainable. I always tell my closest WW friends, “if I didn’t eat after dinner in the evening I would not be overweight”. Evening is when my emotional eating takes charge. After what seems like my whole life dieting to lose the same twenty pounds, trying every program, diets, books, certain food restrictions, cognitive behavioral therapy, etc., the point is I must first accept my body as it is, love it, cherish my good health, and then the evening eating is not so intense. It is much easier to do what some program, some person, some book, tells me what to do, and not take that responsibility on myself. I am getting to a better place. I am hopeful. Yes, I believe one can ditch diets. No, in our culture of PR, food spin, and mass media working on behalf of corporations, I believe our intuition is no match and food habits, desires and health are sold to the highest bidder. Yes, I have learned to eat until full and stop…but only after many years of struggling. The answer, for me, is Whole Food Plant-Based all day and all night. I haven’t met many people who aren’t compulsive eaters to some degree, hence our country’s obesity epidemic. The US wasn’t always overweight, it is not the way our species is meant to be; that is what my intuition tells me. The WFPB way of eating is exciting, flavorful and satisfying. I have never felt healthier and it’s true for my family and several friends too. Unnecessary weight falls off, health markers become normal and intuition is returned. When I see the abundance of beautiful fruits and vegetables and nuts, herbs and spices, my intuition says ‘this is what I was meant to eat and enjoy to live’. At first WFPB eating seems like work but soon it becomes second nature and super easy. Lately, I’m following Well Your World on youtube and fb. It helps to hear others on this path, share ideas and support because we all want and need that friendly place. This is my experience going into 2 years now. Best of luck to everyone looking for their answers. I'm not sure I've ever been "full" in my life. I just eat either until the food is gone, or until it would be socially unacceptable to eat more. I'm hungry twenty minutes after Thanksgiving dinner. Yesterday I ate an entire bagged Asian chopped salad with a pouch of tuna thrown in and a pear for lunch and was starving all afternoon. I only lose weight if I weigh and measure and starve. If I ate the way my body tells me to eat, I'd be so fat I'd be bedridden. The more important question here is: "What diet/eating pattern works best for ME?" Not everyone is designed for WW or Jenny Craig or Paleo or whatever else. You need to find what is right for you and what sustains you. It doesn't matter what you choose - Dieting is HARD. But it can be done. It takes commitment and consistency. Choose a program that you plan to follow for the rest. of. your. life. This is the same concept as the Weigh Down Workshop teaches. WDW is a faith based course that was very popular back about 10 years ago (?). I went thru them both and led a study also. (The original series was great for this but I dont really recommend the follow up 2nd series she wrote.) It was very enlightening on paying attention to your body’s true signals. More currently the Made to Crave books address some of these same ideas. I love this one and bought it on audio to listen to and reread it when I can. You can also do it as a 13 week study in a group which I originally did. These are home runs on the deeper reasons behind why many of us tend to overeat and emotionally eat. Worth checking out! I totally agree with Sue G- I too am on WW because my drug of choice is food. I am a foodaholic and WW gives me the structure I need. I have lost a lot of weight using their guidelines. It’s not perfect - but it’s works for me. I was told years ago that if you are only craving certain things that you aren’t truly hungry. If you are hungry you will eat whatever is available, not pick and choose. It’s extreme in theory but it works for me. If I think I’m hungry, I go through a list of food readily available. If I wouldn’t eat everything on the list I know I’m not really hungry and go for a water instead. I used to be a calorie counter and that worked for me for a few years, until my metabolism was so completely shot that I could hardly eat anything without the scale creeping in the wrong direction and body comp changing unfavorably. I felt like I was dying all the time. Had no idea what my problem was. Had a very stressful home situation that was occurring concurrently with my dietary failure and was at the point where I never wanted any of my normal foods and all I wanted was the junk. Especially ice cream. I am very much a stress and emotional eater, so this was all a big bad storm of issues colliding at the same time. I have since been following a ketogenic diet and still have bad stretches of stress and emotional eating, but eating keto is helping with that. I am actually able to eat a reasonable amount of food with wonderfully keto macros without even trying. Completely intuitive. I can tell the difference between hunger and stress/emotional eating. When I can't get the veggies out of the fridge fast enough, I am hungry. If I am actually craving sweets like ice cream and cake, I know I need more fat. When I feel like I am needing something but not really hungry, it's usually salt. When I feel inclined to run to the grocery store in the middle of the night for ice cream even though I had a completely satisfying dinner and I can't even figure out exactly which flavor I want cause I am not really that in the mood for it but just want something to satisfy... that's emotional and I still struggle with it but I am working on it and feel like I am heading in a good direction. Thank you so much for addressing this topic! I've been dieting since I was 10 years old, starting with WW, and I've done every diet out there. I'm a chronic dieter, and prone to binge eating. 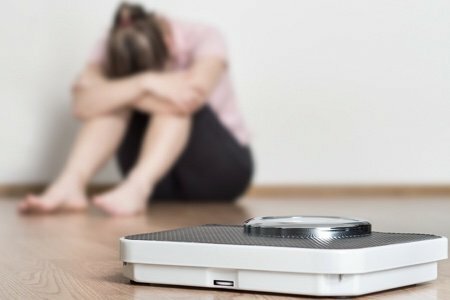 My last diet, Medifast/Optavia, really triggered binge eating responses, and I've never felt so broken. I had been trying for over a year to eat intuitively and read the intuitive eating bible (that's not the title of the book, but the one everyone recommends to read). I can't lie - I gained an extraordinary amount of weight (30 pounds), and I still binge eat occasionally. I did go back to WW recently because I felt so upset with myself, but having a hard time sticking to it. I do think intuitive eating works eventually - can be a very slow process and you have to just keep telling yourself that the weight gain is okay, especially when you have become so broken about food. Therapy probably helps with this too, or having a nutritionist who espouses intuitive eating principles probably helps as well. I think I might just be extreme, and possible have disordered eating from years of diets. The goal of intuitive eating, by the way, is NOT weight loss. It's to regain a "normal" relationship between your body and food. So you have to let go of the weight loss concept. Weight Watcher's really goes a long way today to cover the reasons why we eat not just what we eat or how much. The meetings of today much deeper and have more content than in the past and Mindset has become an important part of the program. Zero point foods don't have to be counted BUT you can count them, in fact, I recommend you count them, especially if you are an emotional eater. Portion control is a big part of our diet as well but even bigger is having a 'diet" mentality. Diets are something that people go on and then go off. Healthy Lifestyles are something that people continue doing for life. Weight Watchers is a healthy lifestyle that you can conform to your own lifestyle and needs. Binging and purging will not be cured with any "diet." and needs to be addressed sometimes with therapy. Intuitive eating is a good concept but there will always be those that it doesn't work for also. I LOVE this so much. I wish more people would listen to their bodies and let go of all the guilt we associate with food! Listening to your body's cues is about eating what makes you feel good. If I eat a ton of processed garbage, I feel like crap. If I eat a huge, delicious grilled chicken salad that I lovingly prepared for my family's dinner I feel amazing! And then I have a piece of chocolate cake at my son's birthday party and enjoy every bite, zero guilt because I know that my body can handle a little unhealthiness since most of the time I keep it running optimally. Eating before you are growling hungry and stopping just at comfortable is working for me. I'm choosing mostly unprocessed natural foods so I have a better signal as to when to eat and when to stop. It takes practice but it is freeing. I agree with you BarbL. Once I started eating a plant based diet it was freeing to know I didn't have to count, measure or care how much I ate. The weight came off easier for me and I felt so much better. I know it's not for everyone. Many people to it gradually and may not reach 100% plant based, but the benefits are great. I no longer crave sugar and anti-inflammatory pain is gone. I'm just sorry I didn't do it sooner. 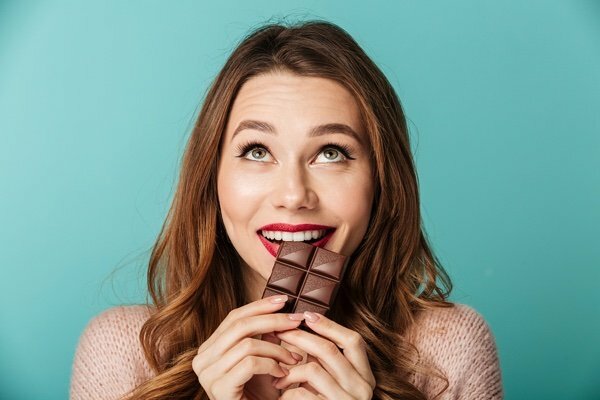 My thoughts are that there's so much much information coming out about hormones, ghrelin and leptin, in particular that have a lot to do with when we decide we're content or satisfied. Coupled with our current food culture and inundation of cheap and plentiful foods that tantalize the tastebuds, but provide little for nutrients, I feel like it's a perfect storm for disengaging us from successful intuitive eating. But, with that said, I'm still an advocate for mindful eating, listening to your body, and coupling our food choices with nutrient-dense foods whenever possible! There's still hope! Thank you Sue! It always helps to hear someone else has found the WFPB style is working for them too. I'm not 100% but it's nice to have a goal! I start each week with a plan that includes lots of leftovers to free up my time. So many ideas on the web. I love the mutual support here on Snack Girl too with all the sharing of familiar stories. I wish I started sooner like you but at least my son is on board. He is 38 and had ulcerative colitis but now is totally UC free plus lost 12-15 lbs seemingly overnight and increased his energy. I feel a great release of worry. I believe emotional eating is a learned behavior and as such can be unlearned. As with any habit, it is challenging to change and reverting to the old behavior will happen, but the less often it does, the more a different behavior will become the norm. The other half of the equation is naming the emotion that leads to food medicating. Then deciding how to deal with it. There are some situations that can be walked away from. Some can be changed. Some that can be tolerated. And others that we have no control over. In the last instance, deciding HOW to react IS within our control. Doing it is altogether another decision.